The Great Commission is Jesus' command to take the Gospel to every person, throughout the world, and to make disciples of all nations. To the layperson, that can sound like an overwhelming task. But God never asked us to be all things to all people. That's His job. His assignment for us is simple: follow Jesus, and lead others to follow Him. In the series Follow the Leader, James Merritt explains that leading others to follow Christ is not just accomplished from the pulpit. It's taking place every day, in every venue, one relationship at a time. Whether you spend your days leading an organization, raising children, or sitting in a classroom, you have the ultimate opportunity to share the greatest gift those within your sphere of influence will ever encounter. Learn to attract others to Jesus by following the Leader! Have you ever seen Jesus in person? No? So, because you haven't seen Him, does that mean he doesn't exist? Of course not! The Bible teaches us that faith isn't “seeing” and then “believing.” Faith is believing before we see. It's about taking Jesus at His Word and believing that what He said will come to pass. As believers, we aren't “hoping” to one day live in Heaven with Jesus, we can believe that we will-­­ because He said so. 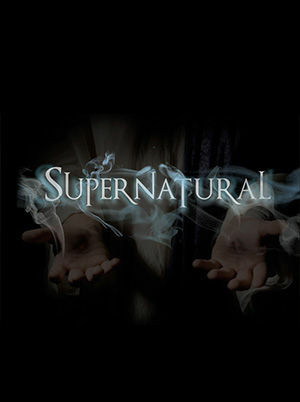 In the series Supernatural, James Merritt reminds us that miracles had a purpose while Jesus walked the earth, and they have a purpose in our lives today. If we will take Jesus at His word, bring Him what we have, and trust Him to help us do what He has called us to do, we will see that miracles still have a very real place in the lives of God's children today. Have you ever watched a really stubborn person try to put something together without looking at the instruction manual? It can be humorous to witness, but the truth is, it's really kind of sad. Why do manufacturers include instructions with the products they create? Because they want the end­user to successfully use their product and have the best experience possible with it. With the same logic in mind, trying to put a family together without consulting the manufacturer's instructions is more than stubborn...it's a recipe for disaster. 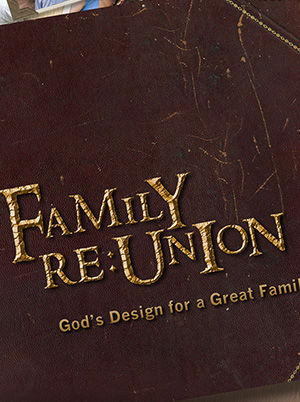 In this series, Family Reunion, James Merritt presents God's foundational purposes for the family, gives practical insight into creating a lasting marriage, and teaches parents how to produce children who will carry on the family's legacy of faith to future generations ­­impacting the world for Jesus Christ! This is a first­ aid kit for broken homes and struggling families. When everything is said and done and you're looking back over your life, what do you think you will regret most? Let's take that question one step further... when it comes to your faith, what will be your greatest regret? Perhaps the most disappointing thought would be to stand before Jesus and realize, that had you chosen to stretch your faith, He had so much more in store for your life. 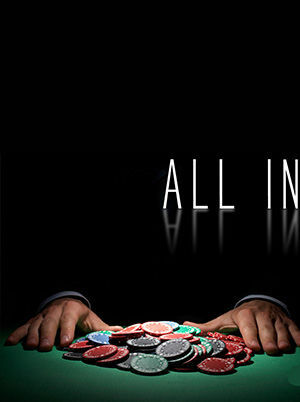 In the series, All In, Dr. James Merritt breaks down what the Bible teaches about living a life of commitment. Straddling the fence in any area of life will only produce mediocre results at best. There's a reason that God wants your best. It's so that you can experience His best. Don't waste another opportunity to reap the harvest of a fully surrendered life! When a child begins to communicate verbally, more often than not, one of his or her very first words is "no". The same can be said for many believers who are very young in their faith, when it comes to saying no to God's directions. As a child grows into maturity, the understanding that wisdom can likely be found in the directives of parents and others in authority ­­so is it with a believer who becomes mature in faith. God can always be trusted! We can trust what He says in His Word and what He speaks to our hearts as we spend time with Him in prayer, praise, or meditating His Word. 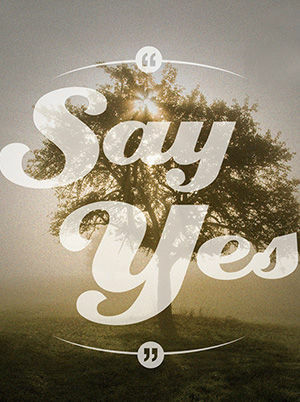 In the series SAY YES, James Merritt teaches that saying yes to God is a win-­win decision that will not only impact the one who said it, but the overall Kingdom plan of God. Become a "yes man" for God today! Have you ever thought about how people of other religions come to believe what they believe? For the most part, it's because their parents believed in a faith they passed along to their children. The truth is, most of us came to believe in Jesus in much the same way. The problem is that we often make the very same mistake that those children of other religions have made. We merely accept what was taught to us without ever finding out for ourselves why we believe it. The danger in such a choice is that when we come to a place of disappointment, discouragement, or even crisis, we don't really know what His Word says, and we don't really know if He'll come through for us. Join James Merritt as he shares how to make your faith your own. 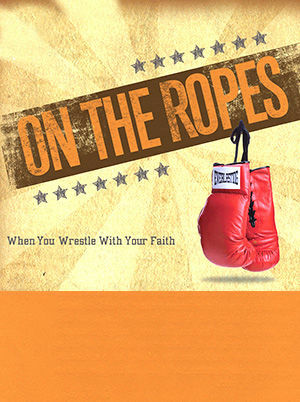 So, when you find yourself "on the ropes", you'll know just how to find your courage of faith to see you through. What's the first rule for stress­ free travel? Travel light! Packing everything but the kitchen sink may sound like a good idea but the truth is, packing light usually makes for a much more pleasant travel experience. The same can be said for the journey of life. Excess baggage makes life cumbersome and stressful. Everyone has baggage. Whether you've had a troubled childhood, a bad marriage, or life has handed you everything on a silver platter ­­you have baggage. And that baggage affects everything you'll ever do, every relationship you'll ever have, and every opportunity you'll ever be given. 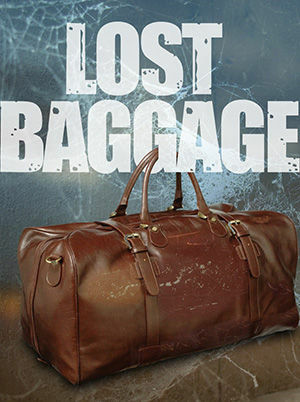 In the series Lost Baggage, Dr. Merritt shares the life ­changing steps for becoming free from excess baggage. Learn how to truly forgive someone, how to end unresolved conflict, and how to make room for God's best in every area of your life. If you've known Jesus for very long, you've likely has this experience: you're in some random place, with random people...and something catches your ear. You don't mean to eavesdrop, but you're just so intrigued by what you are hearing. It's a discussion between two people. The first is being incredibly rude and disrespectful. Yet, the second doesn't seem to notice. He continues to respond to the verbal attack with kindness and a smile. You say to yourself, “Man, if that were me, I'm not sure I could keep it together like that.” But you know what? You can! Jesus said, “By their fruit you shall know them.” That's exactly what you just experienced when you witnesses the counter­cultural response to an obvious wrong. 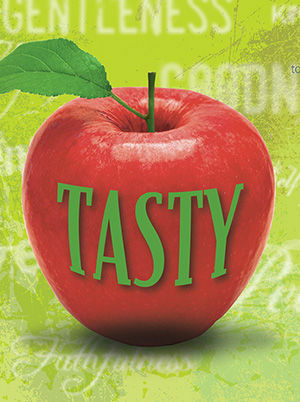 You just observed what we know as “the fruit of the Spirit” in action. Because love, joy, peace, patience, kindness, goodness, faithfulness, gentleness, and self­control seem so commonly discussed in church today, we often gloss­over when we hear them mentioned. Yet, you've notices them in others and were intrigued. 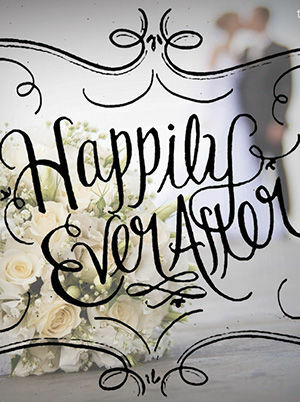 Isn't it interesting that most couples spend far more time planning their wedding than they do their marriage? Women dream of their wedding day, the dress they will wear, and the handsome prince that will meet them at the altar. Men look forward to a passionate honeymoon on some exotic, adventure­-filled island. But somehow, additional planning doesn't quite seem necessary for the months and years after saying, “I do.” All too often, couples find themselves in uncharted territory of marital discord, with no idea how to find their way back to the place where they once enjoyed­­ where they could hardly stand to be apart from each other. 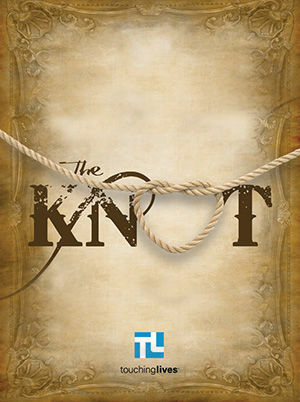 In the series The Knot, Dr. Merritt digs deep into the Word of God and uncovers the secrets to a long, happy, love­filled marriage between the man and woman that God brought together. Discover the keys to being the kind of mate that God declared you to be! No one says, “I do” with the hope of one day getting divorced. Yet all too often, we expect our marriages to be great all on their own­­ without much effort on our part. We give up, only to walk from one marriage to begin looking for the next fairy tale romance. How many times have you heard someone say, “I've tried everything but I just can't save my marriage”, and then he or she just gives up and quits? How much truth do you think there is in their statement that they truly tried everything? Chances are, the disillusioned spouse spent more time looking for the right person than becoming the right person. Marriage isn't just about what you can get out of it. It's about what you can put into it. Whether you're single or married, discover steps you can take to create the kind of marriage that God wants you to have, as James Merritt leads you on the journey to Happily Ever After. If marriage is based on that warm, fuzzy feeling in the pit of your stomach when you're head­ over­ heels in love with someone, every person would end up divorced. Why? Because it's unrealistic to think that feelings can sustain a great marriage. That's why marriage vows include phrases about staying together when times are hard­­. When that warm, fuzzy feeling is tucked away somewhere behind the disappointment you feel when your spouse forgets to take out the trash ­again or doesn't jump up to refill your glass because there is a diaper to be changed. Yes, there are wonderful feelings that are a part of a great marriage but that don't make a marriage. Marriage is a commitment and love is a verb. 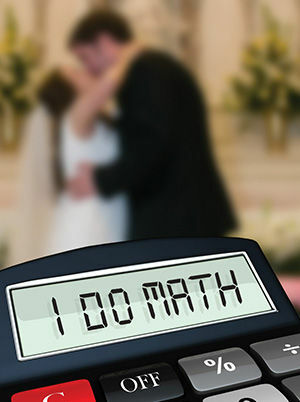 In the series, “I Do” Math, Dr. Merritt￼￼￼￼ shares the biblical truth about marriage, divorce, and re­marriage. Discover the love and grace available from the One who designed marriage. You don't have to look very far to find people who are overwhelmed. Some of us don't have to look any further than the mirror. We don't become overwhelmed all at once. There's a process and it begins with trying to do everything ourselves. When we choose to go at it alone, pride jumps into the front seat, we refuse to ask for help and sooner than later, we find ourselves worried, angry, bitter, and discouraged. The temptation is to just work harder, or to drown out the stress with things like alcohol, drugs, or various other poor choices. But there's a better way. 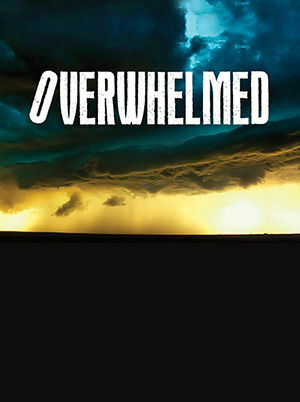 In the series Overwhelmed, James Merritt shares the steps to go from being overcome by life's stresses to walking in the peace and joy of Jesus. Learn what the Bible has to say about living a life on top!